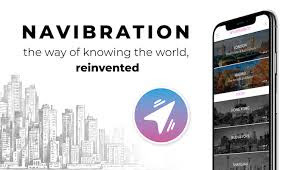 Navibration Experiences will be the first decentralized social network of audio-recorded guides of routes from any city around the world. Based entirely on blockchain technology, the network will be available on multiple platforms such as Desktop, Tablets, and Smartphones. The routes provided on the platform can be bought by anyone using the platform with NAVI (Navicoin). Users can also deposit fiat and they will automatically be converted to Navicoins on the platform. Route: A user will create a route for a particular place anywhere in the world. Text: A user will write the instructional content of that route. Language: A user will translate the written content if necessary. Audio: A user will record the audios of that route. And then finally, Navibrationteam will check and edit the final content and put the route for sale on the platform. Users on the platform can also rate the content created by others by either positive or negative reactions. Every single user responsible for any of the steps will get rewards in Navicoins on the platform. And, a user can also complete more than one steps if he wishes to.A user must have some tokens on the platform in order to take part in the content creation. Though you don’t need any of them if you are just rating the content created by others.